Known for his infectious charm and detailed dope-boy checklists, ATL titan Peewee Longway has a unique take on trap life. 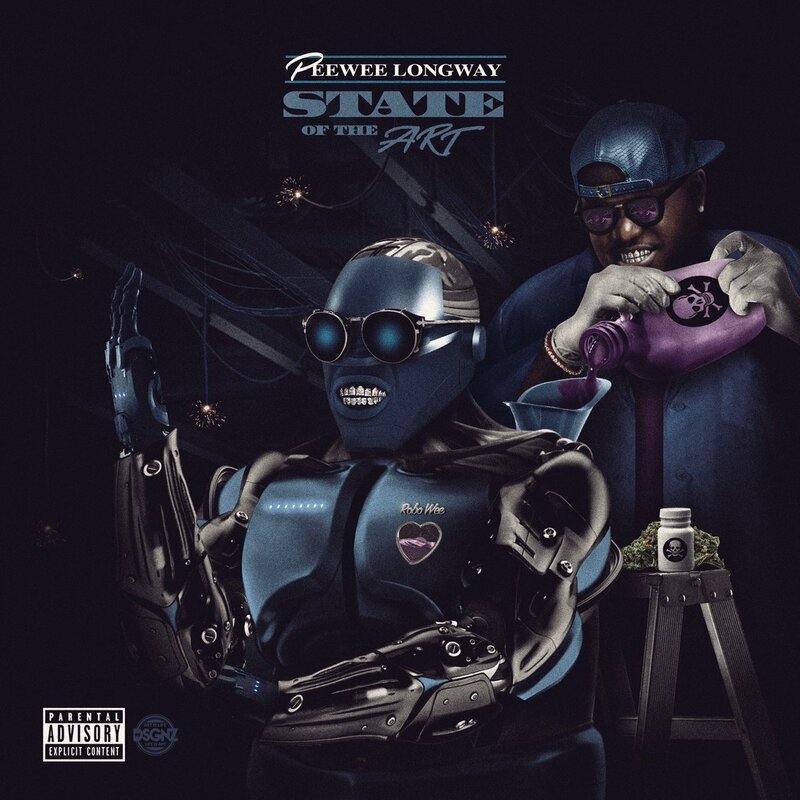 With 11 mixtapes and 1 album under his belt, Peewee Longway has consistently pumped out cult favorites and just dropped his 12th mixtape, State Of The Art, today. As documented in Gucci Mane’s autobiography, he signed Peewee to his 1017 label based on his charisma alone, without having even hearing a demo. Now fully independent with his own label, MPA BandCamp, Peewee continues to steadily release critically acclaimed projects, despite not getting fully recognized for having shaped the current ATL sound that is beloved around the world. Returning to the fold with a new batch of bangers, Peewee uses the sonic backdrop of trap music as a canvas on State of the Art, painting his outsized personality and his unique sense of rhythm above rumbling bass and skittering hi-hats. The proper follow-up to Peewee’s 2016 studio debut Mr. Blue Benjamin, State Of The Art is a testament to Peewee’s microphone prowess, offering lurching club bangers like “Shootem Up Bang,” minor-key flexors like “James Harden,” drugged-out anthems like “Les Be Real,” and many more. Featuring appearances from Gucci Mane, Migos, Plies, Maxo Kream, Young Nudy, and Lo Life Blacc, and with production from Mustard, 808 Mafia, ATL Jacob, Quay Global, Cicero On The Beat, and more, State Of The Art reaffirms Peewee’s position in the highest echelons of trap royalty. Previous Previous post: LIL BABY AND FRIENDS TURN IT UP IN ATLANTA WITH A FREE SHOW AND STAR-STUDDED NIGHT!